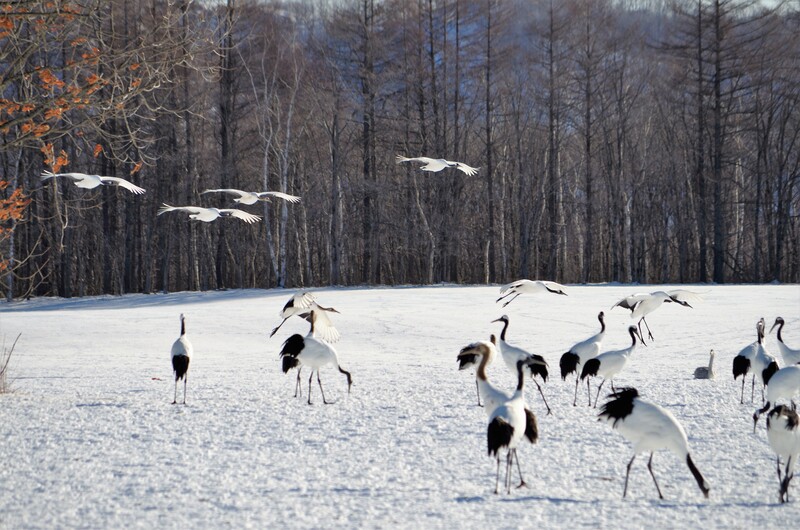 The red-crowned crane is both a symbol of Kushiro as well as the name of their airport. In Japan, the birds live only in eastern Hokkaido wetlands and are a designated natural treasure. 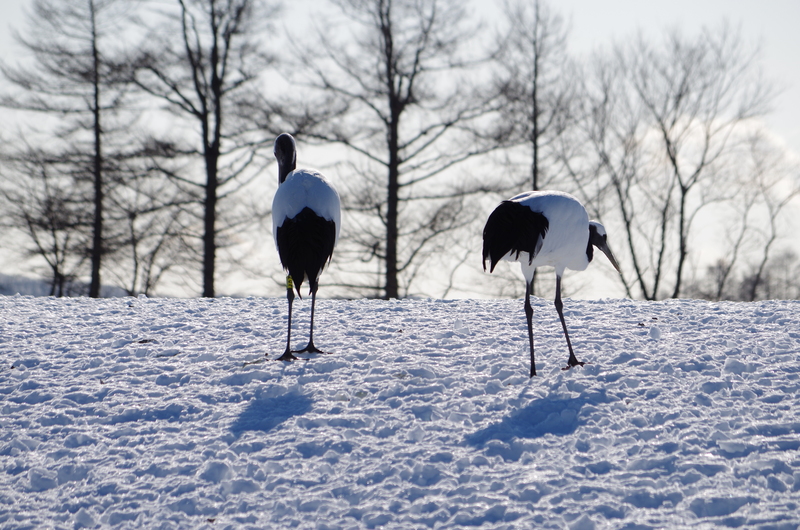 Due to a lack of food in the winter, for a long time many humans came and gave food to the Cranes, and succeeded to hand-feed them. Many photographers visit here from October to March because you can see wild cranes dancing through the snow in Tsurui or Akan-cho. If you visit Kushiro you definitely should come and see the wild cranes at Tsurui Ito Tancho(cranes)-sanctuary, managed by the Japan Wild Bird Society of Tsurui Village. These wild cranes gather to be fed from October to March, making it one of the best viewing opportunities to see the cranes. There are also good photo shooting spots such as Otowa bridge and Tsurumidai.